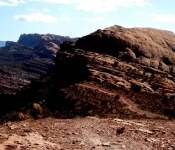 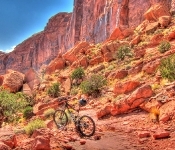 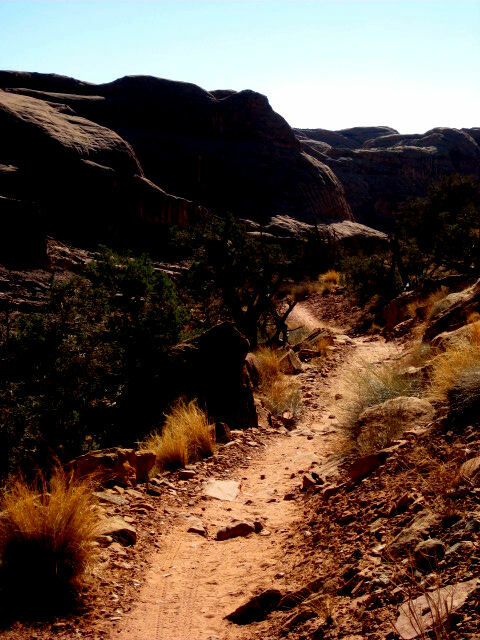 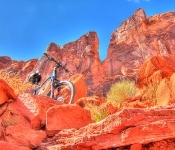 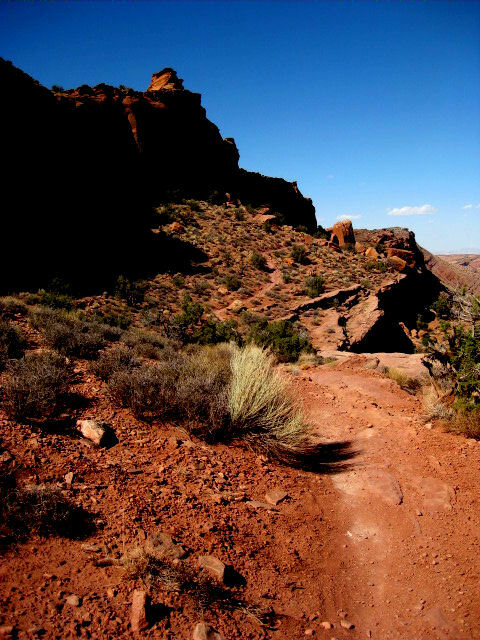 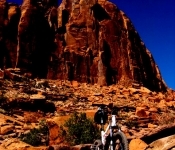 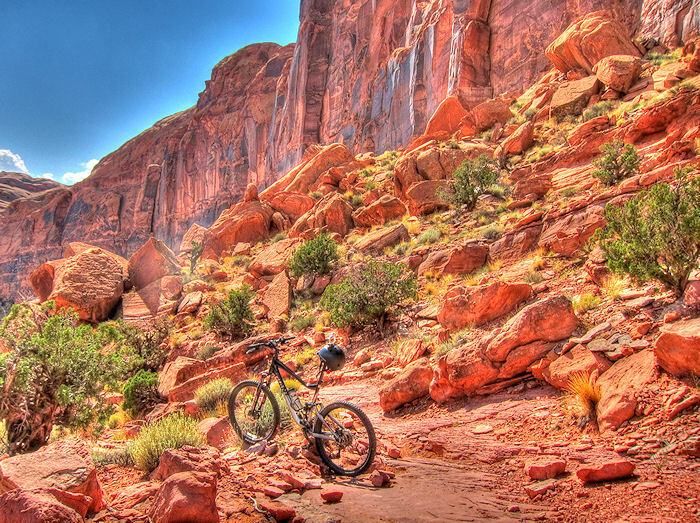 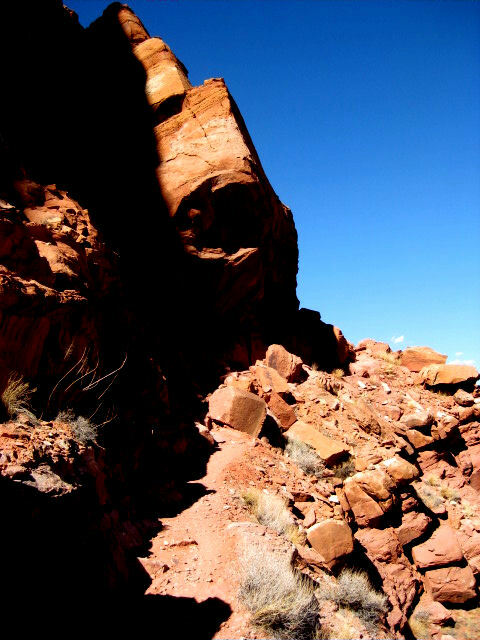 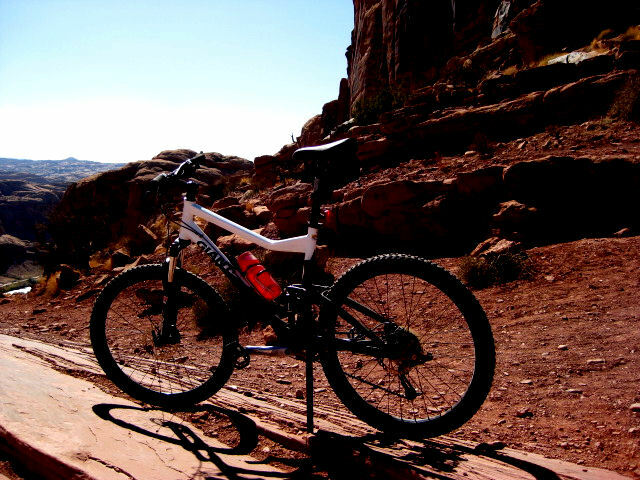 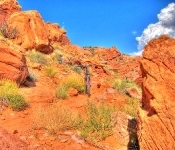 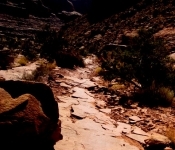 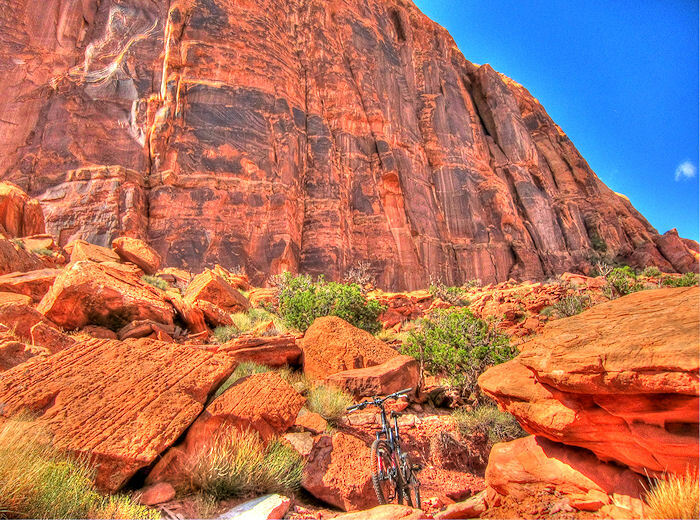 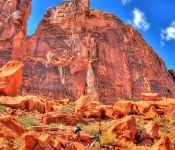 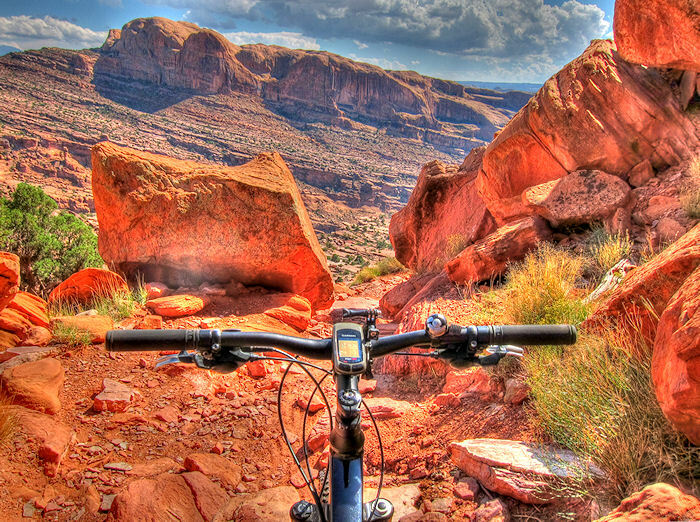 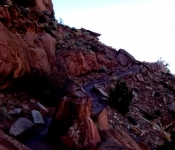 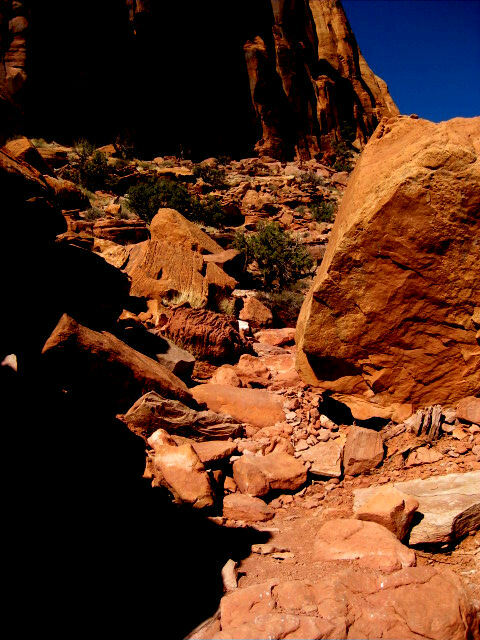 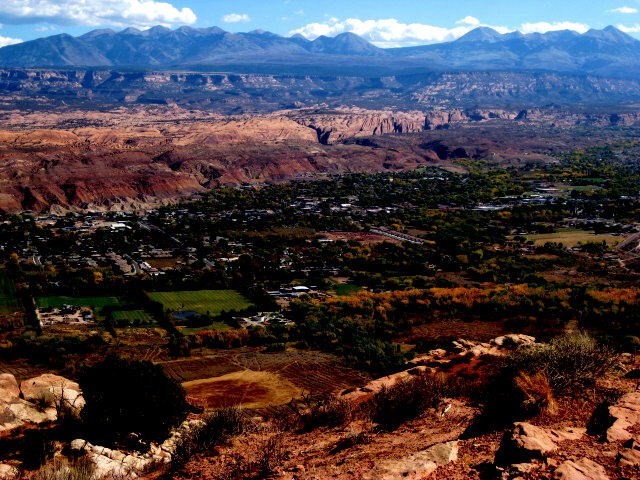 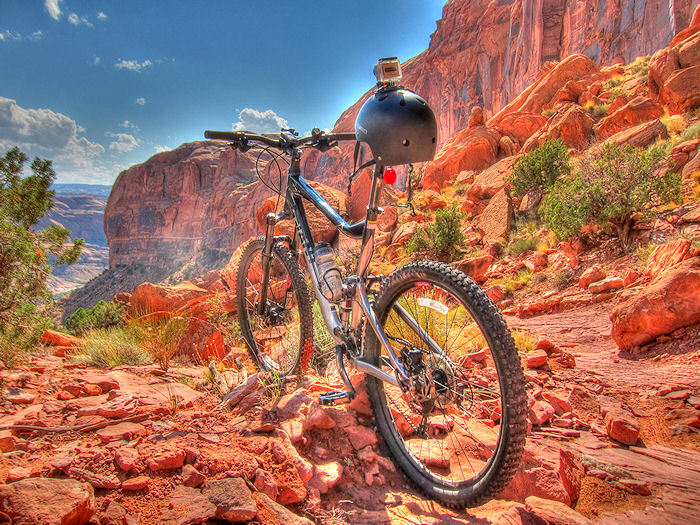 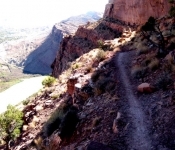 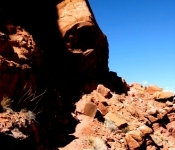 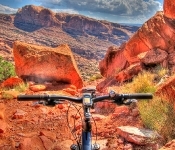 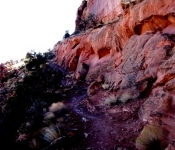 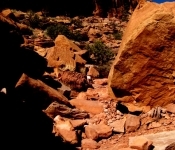 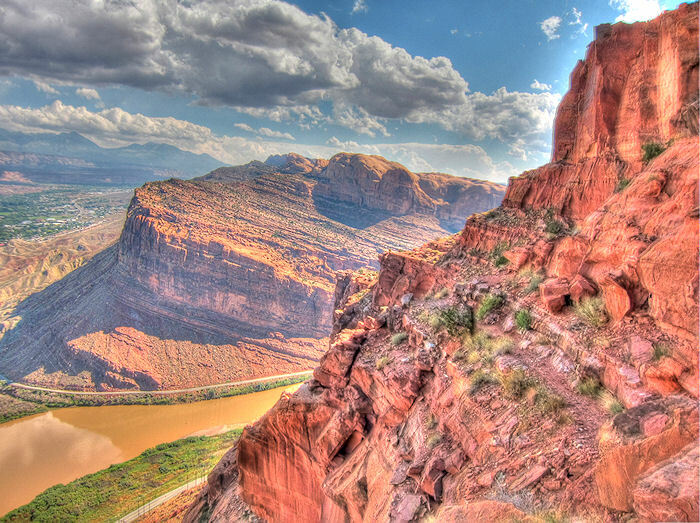 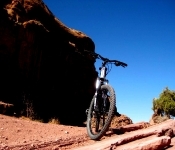 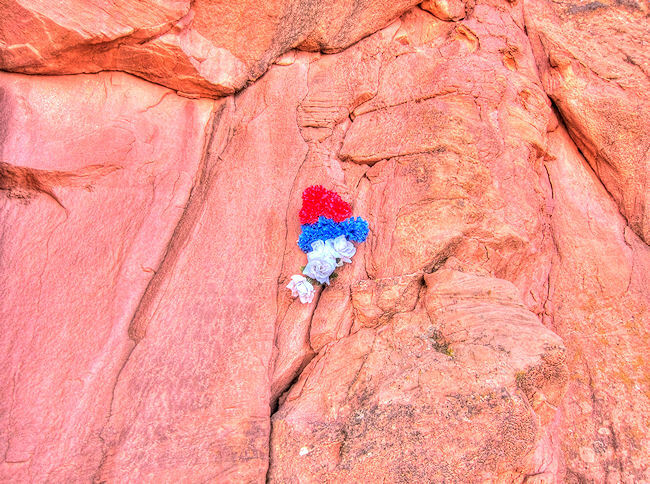 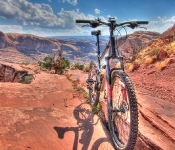 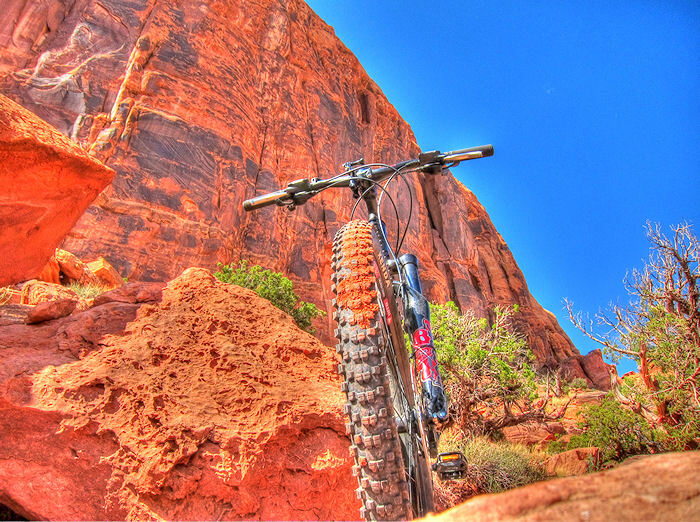 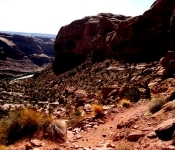 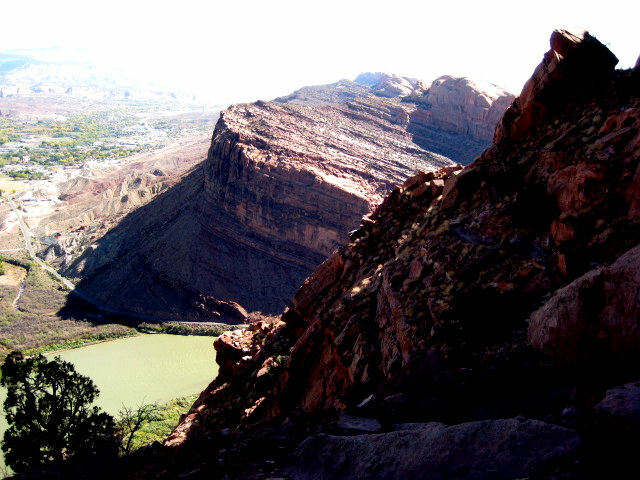 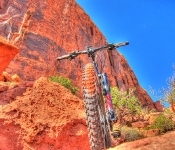 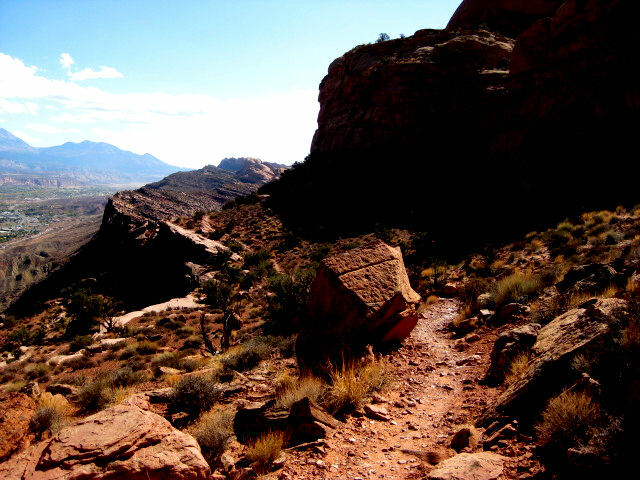 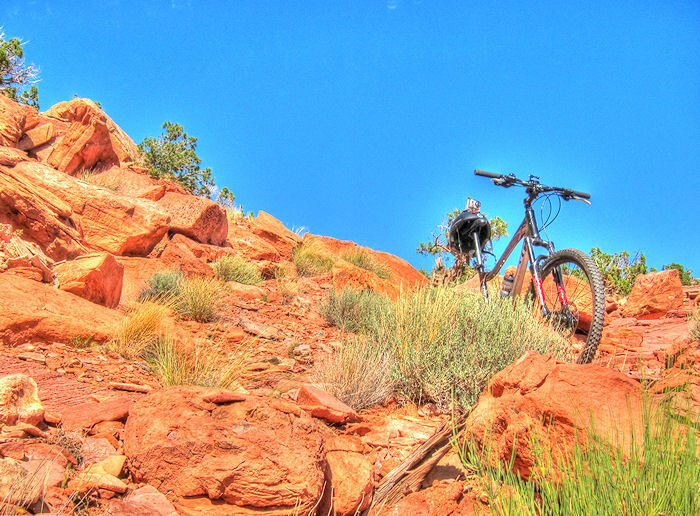 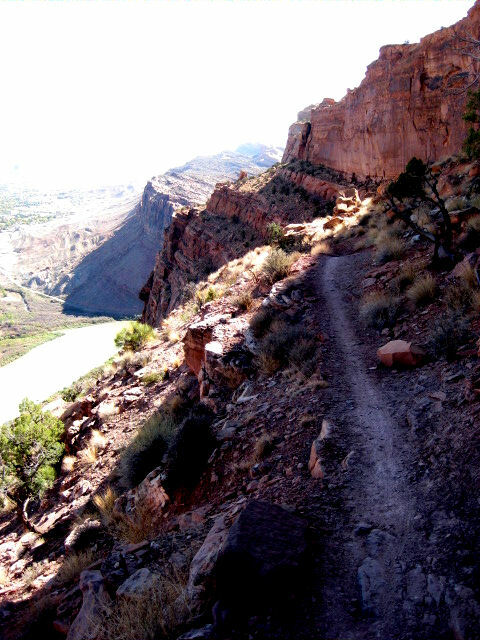 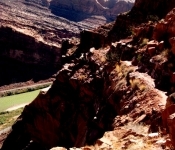 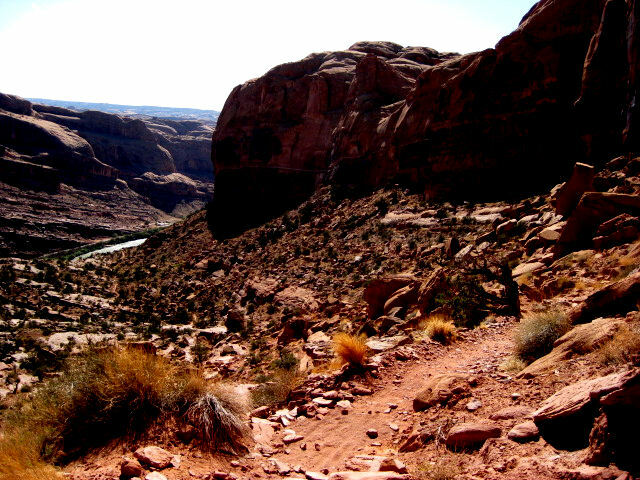 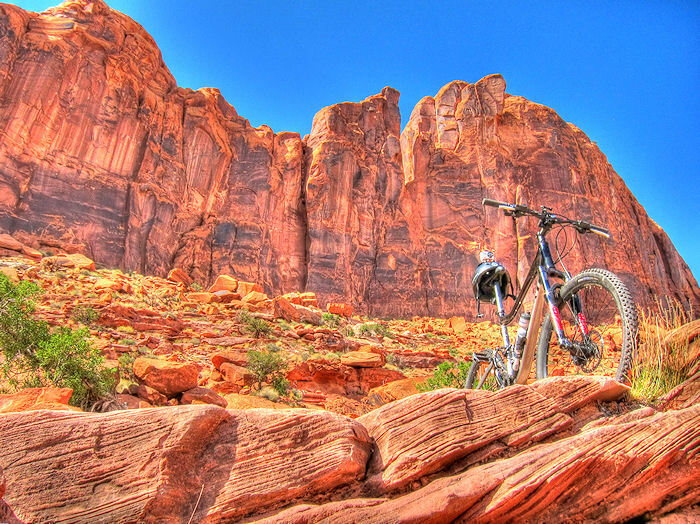 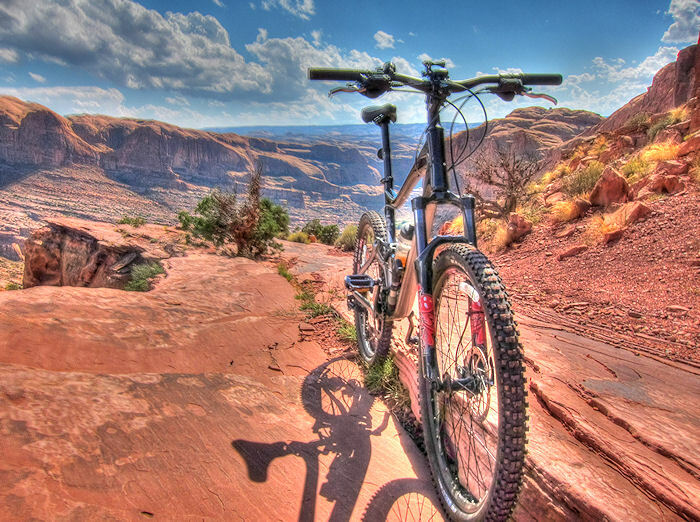 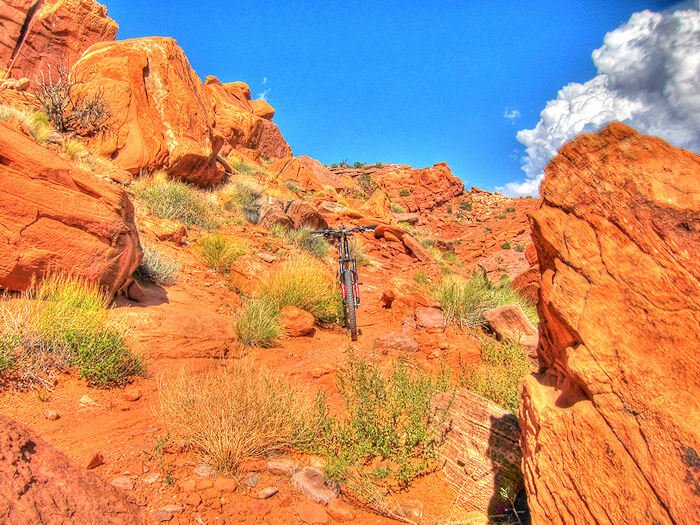 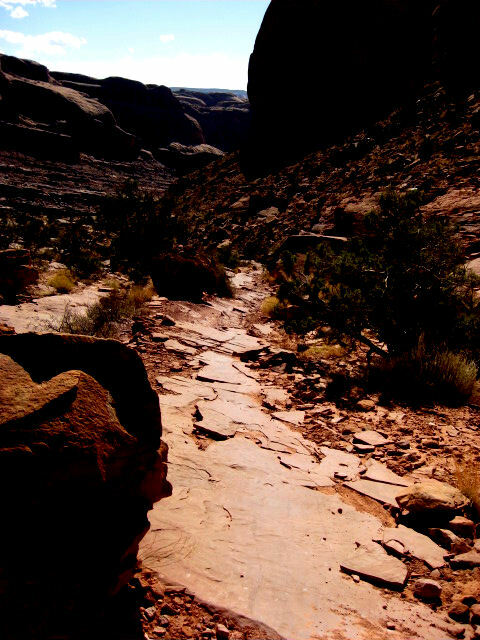 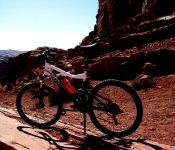 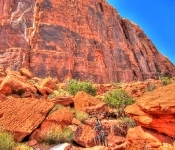 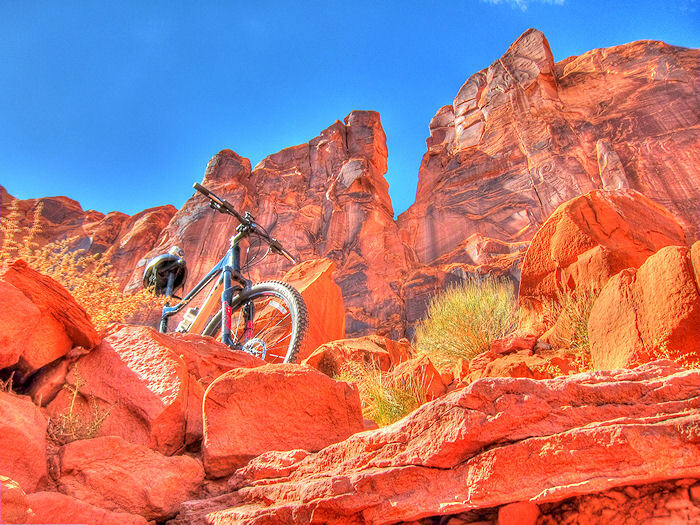 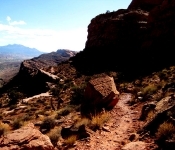 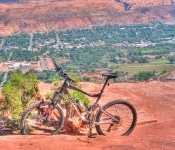 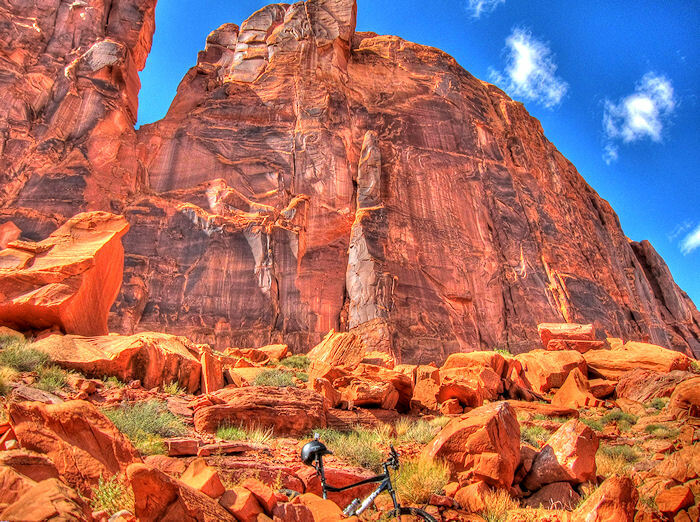 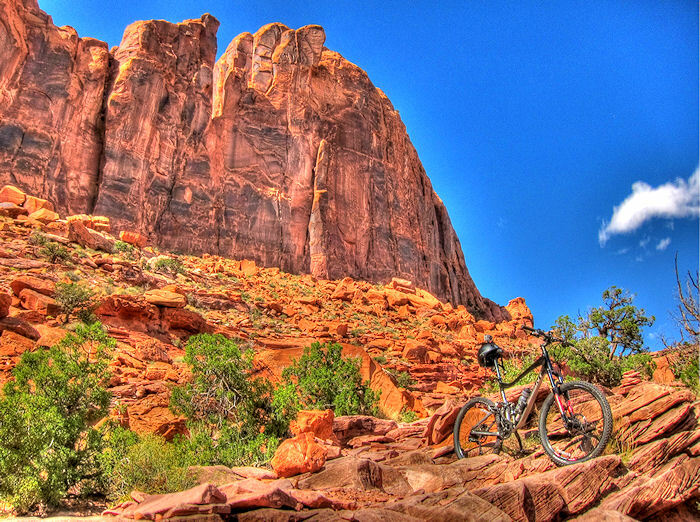 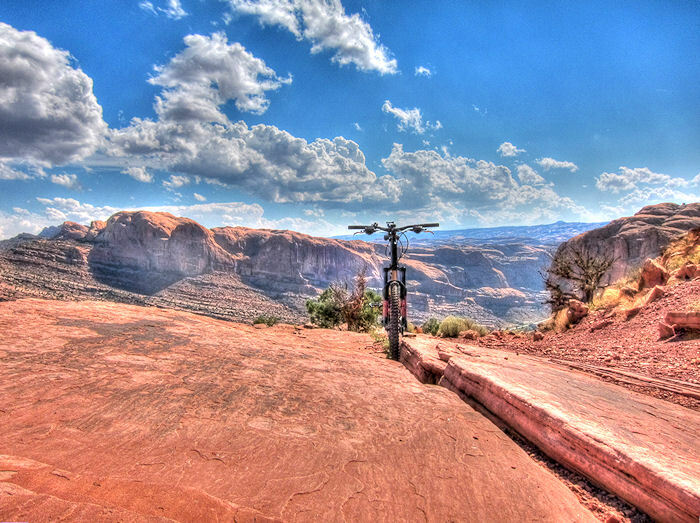 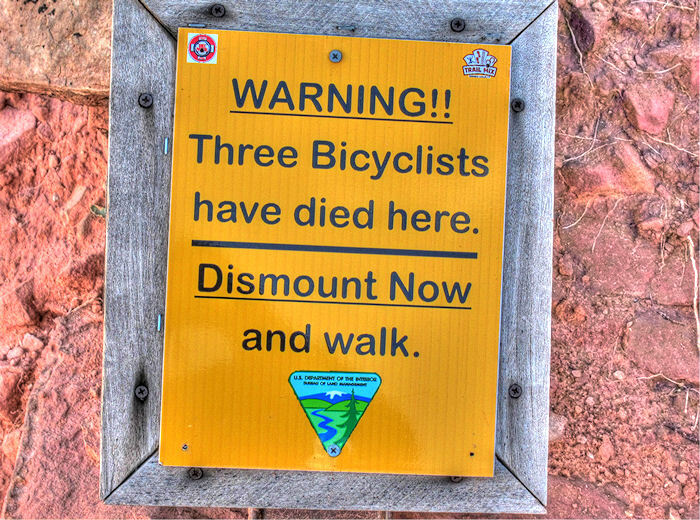 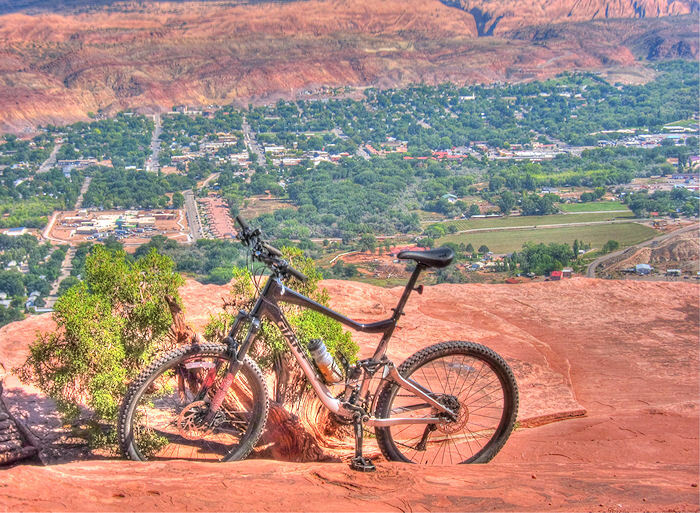 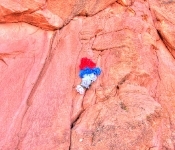 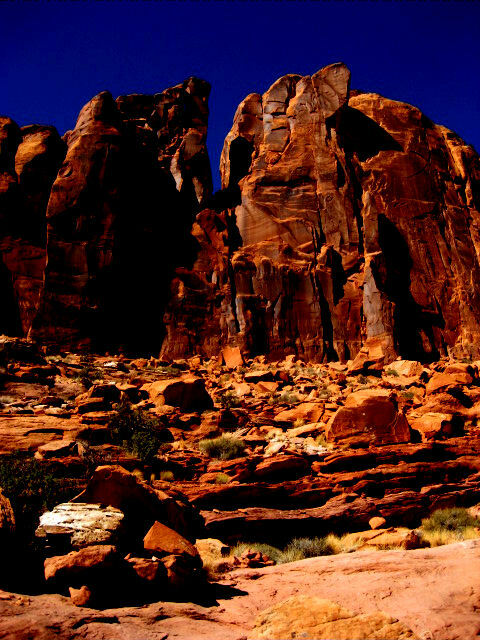 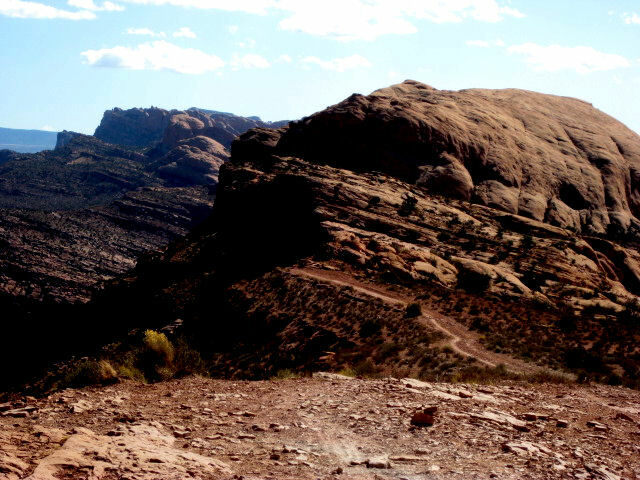 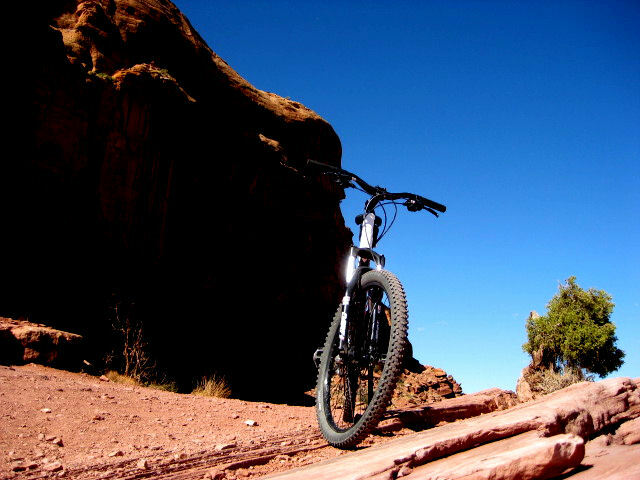 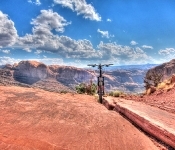 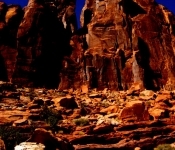 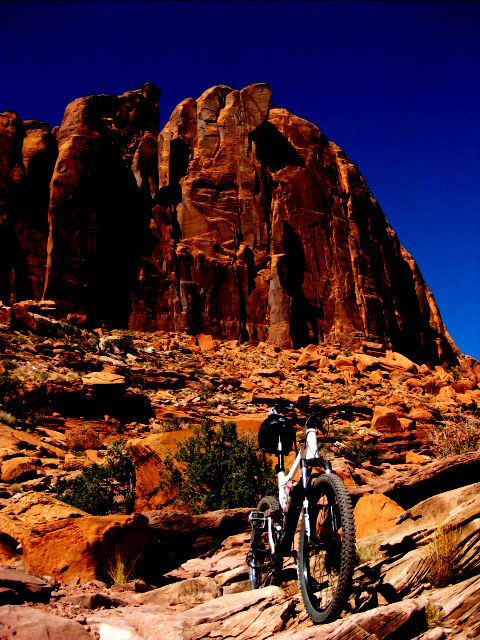 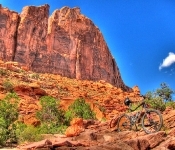 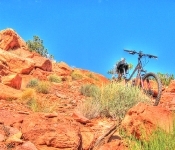 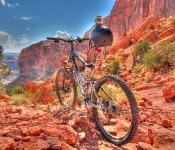 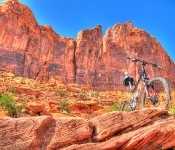 The Portal Trail in Moab is known to be the most deadliest trail in the USA, is this justified or is it just a hype? 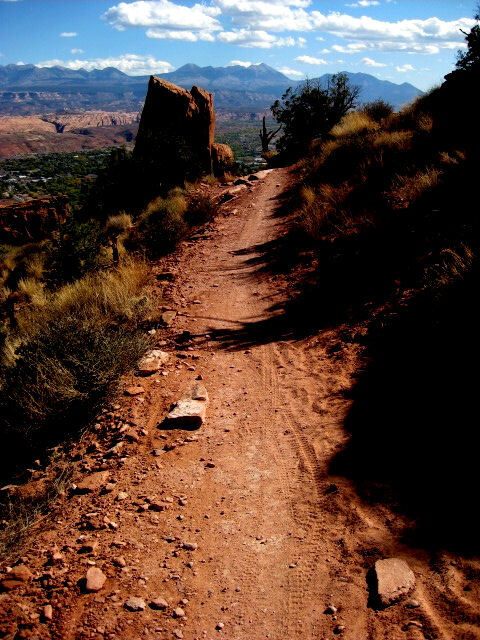 I have done this trails numerous times, either looping the Poison Spider Mesa Trail, or as a Point to Point coming up Gold Bar Rim Trail. 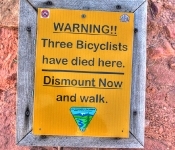 Is the Portal Trail Deadly ? 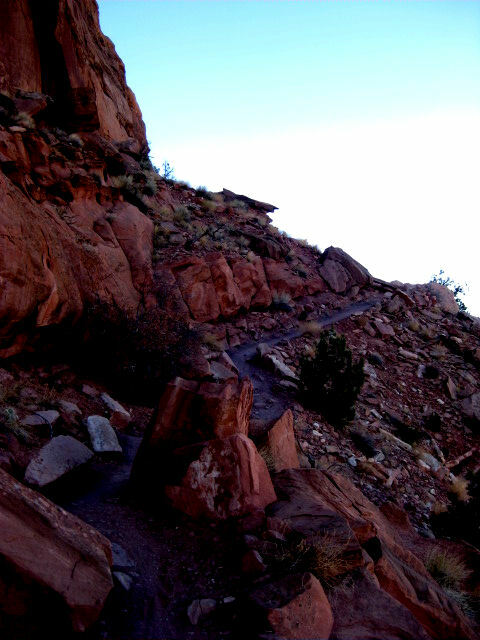 If you fall on certain section of this Trail then definitely. 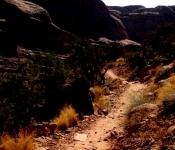 Is the Portal Trail Scary ? 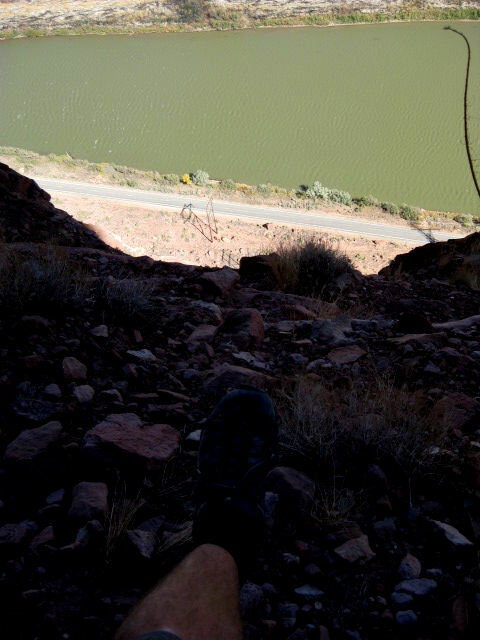 NO not at all, UNLESS you have a fear of heights and sheer drops of course. 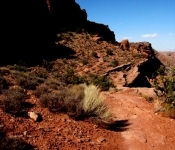 Is the Portal Trail Scenic ? 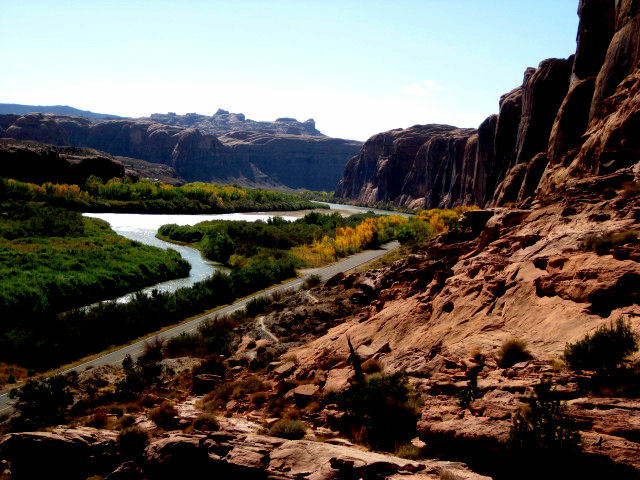 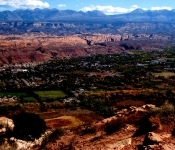 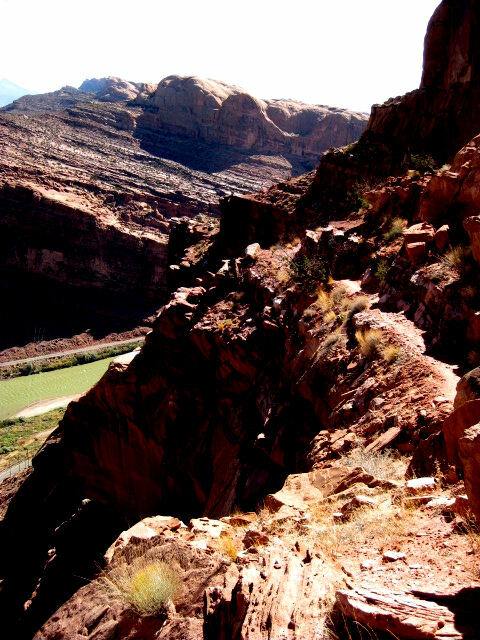 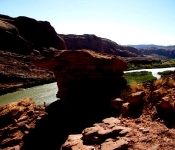 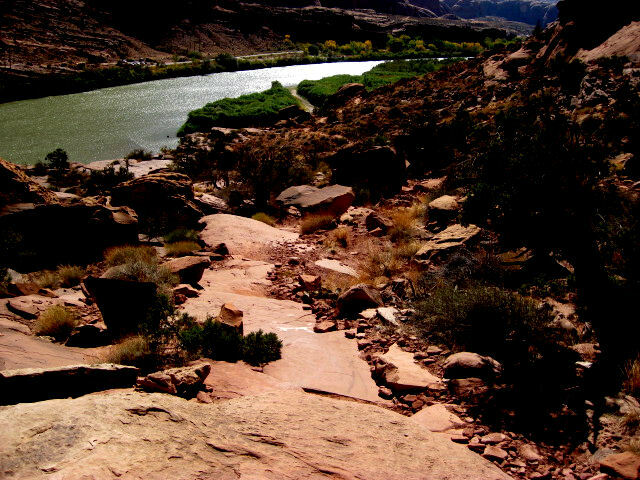 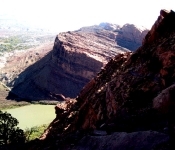 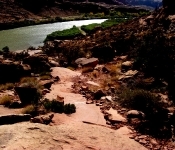 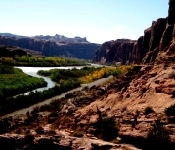 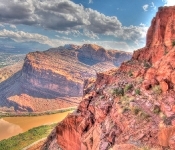 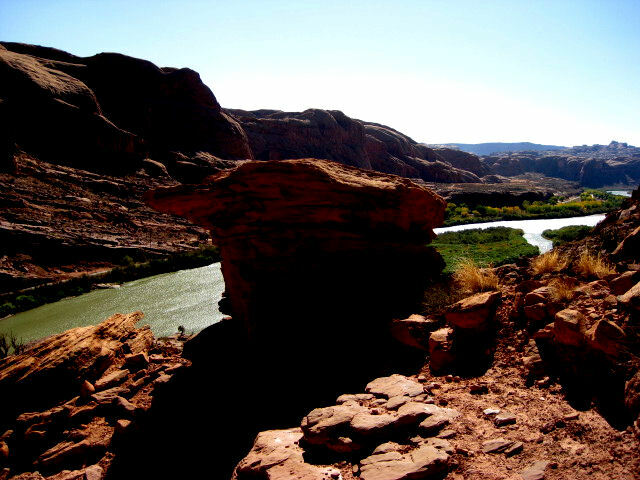 Very scenic, stunning views looking over the Colorado River and Moab. 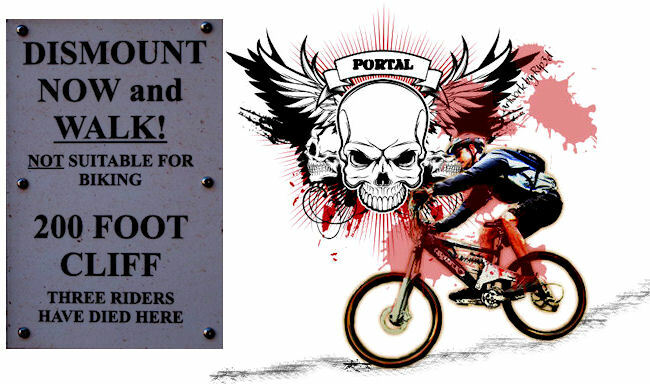 Is the Portal Trail only suited for experienced riders ? 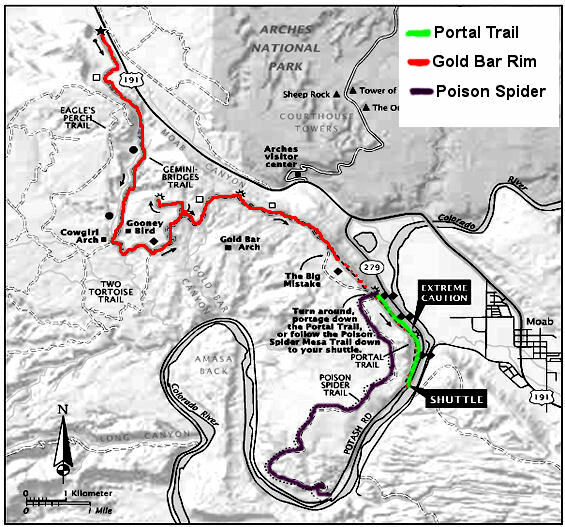 If you manage to get to the Top of Portal from the Poison Spider or Gold Bar Rim, then you are experienced enough to go down Portal. 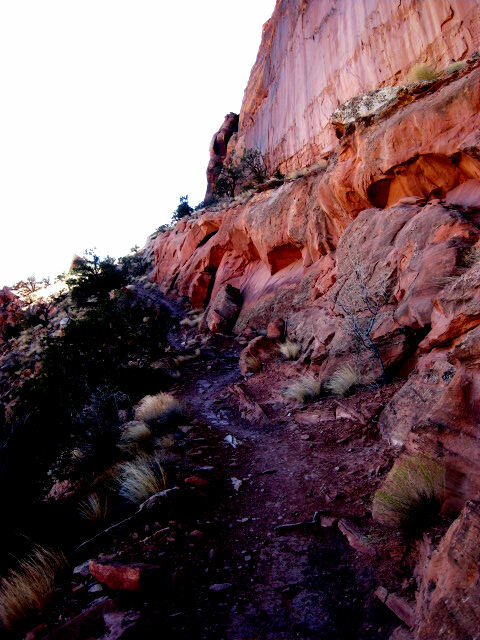 The Portal Trail is like many other trails a “common sense” Trail, but unlike most other trails where if you fall, you might do yourself some serious damage, however on the Portal you either learn how to fly in 5 sec. 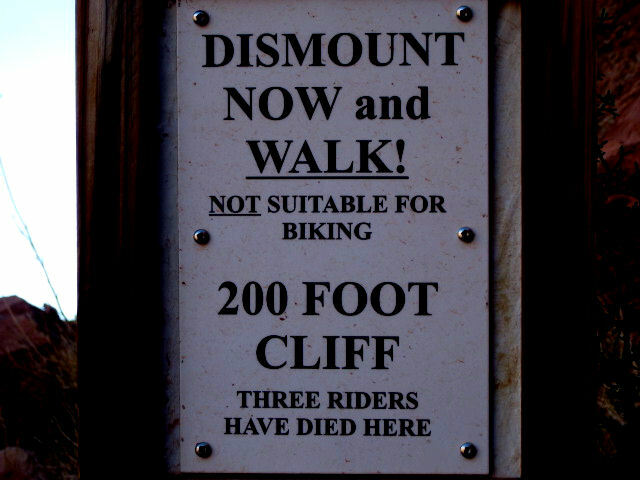 or you are dead, thats a certainty. 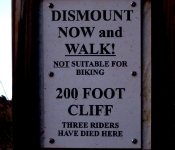 Now this does not mean that the whole Portal Trail has a sheer 200ft drop, ‘cos that is not the case, their are 2 sections on the trail where there is a sheer drop, and they are both marked with a warning sign. 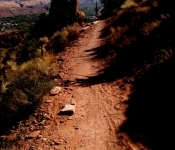 Anyone riding on this section is just asking for trouble, and obviously are missing high amounts of reliable brain cells. 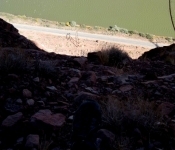 On these sections the trail is 3ft wide with a solid rockface on one side and a 200+ft sheer drop on the other, and believe me, it’s not a level / smooth trail. 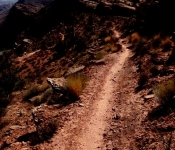 Personally I find the SECOND section of this trail more dangerous than the “notorious” section.The second section is a solid mental downhill mayhem, with plenty of blind spots that lead to at least 5 ft rocky drops. 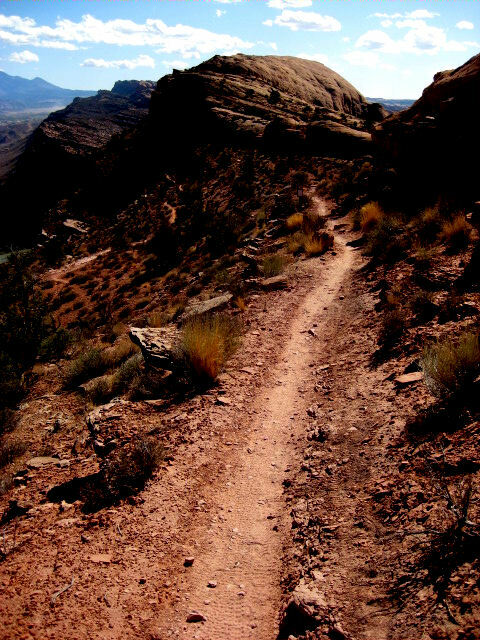 This section is also a “common sense” section, however unlike the “First” section it’s not as clear what the consequences can / will be, and by the time your brain recognizes the danger you got yourself into, there is not much you can do about it other than pray you will stay on your steed, cos this terrain is an Endo nightmare , and if you give it a chance, it will destroy your steed.